You probably can't tell by looking at the cover art below, but my latest acquisition, Ganbare Gorby!, is an action-puzzler that stars Mikhail Sergeyevich Gorbachev--aka the guy with the port-wine birthmark who served as president of the Soviet Union between 1988 and 1991. As odd as that likely sounds, the end product's actually pretty darn fun. Of course, how could it not be? Not only does it put players in ol' Gorby's shoes, but it tasks them with racing through one Russian factory after another in order to provide the poor with such basic essentials as food, medicine and, er, Game Gears, while avoiding violent soldiers and guards. Thankfully, the factories you and Gorbechev spend so much time in are far from drab. On the contrary, they're bright and colorful, with red and blue floors giving way to green and purple walls that are topped by orange and yellow minarets. By the way, I can't write a post about this game without mentioning two things. First, it was released outside of Japan (in 1991) as Factory Panic, with Gorbechev being replaced by some random blond brat. (Strangely, everything else remains--including the minarets and the Soviet soldiers.) Second, I have to thank the proprietor of the VGJunk blog for turning me on to Ganbare Gorby!, as I'd never heard of it before reading this post. Afterwards, I traipsed on over to eBay and searched for it on a whim. To my surprise, I discovered an auction for the rather pristine copy you see above and promptly picked it up. Now I just need to pick up a (refurbished) Game Gear so I can play it the way it's supposed to be experienced (as opposed to doing so via emulation), don't you think? Whoa, that really does look like it's in excellent condition! Hopefully it's got a good manual and if it does I'd love to see a post about it. Hope you enjoy it! Hey there, VGJUNK! Yes, it's definitely in great condition. In fact, it almost looked new when it arrived. How weird is that? Simon: I am! And this 'GG itch' isn't going away anytime soon, it seems. Oh, well, there are worse things to be obsessed about, right? I'm surprised you didn't mention that there's another Gorbachev game -- Gorby's Pipeline -- that vgjunk covered in the same post. I've played both. Pipleline was pretty tough and a bit confusing as I remember, but this one was much more manageable. Not a great game, but reasonably entertaining. 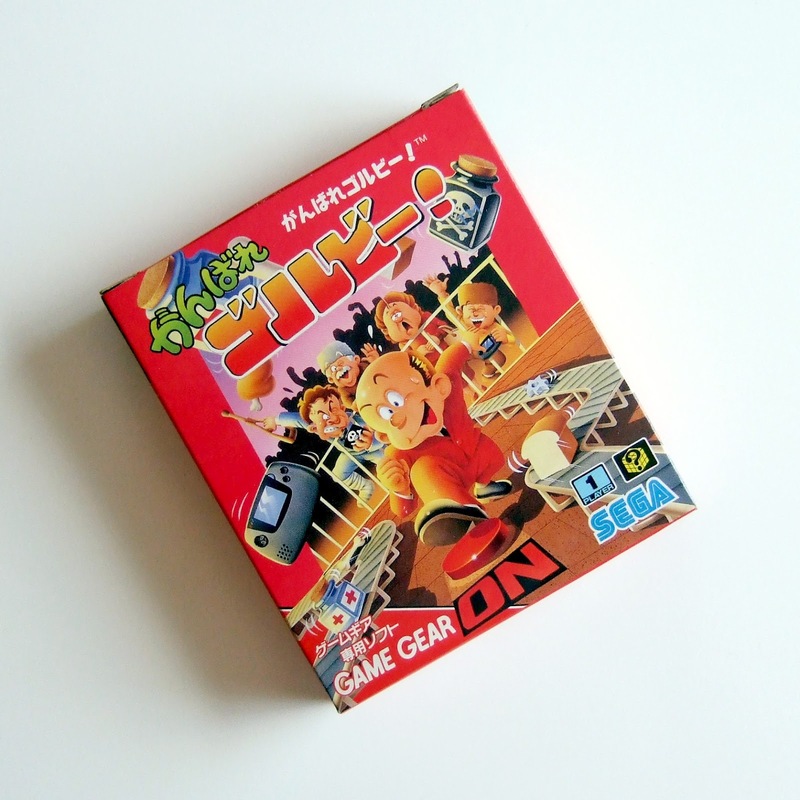 I didn't mention it, warp, because it's a Famicom game and because this post is focused on a Game Gear game. Plus, I don't much like that game, to tell you the truth. I like its box art, but the gameplay is ... awkward in my experience. Ganbare Gorby! is much better, if you ask me. Is it great? 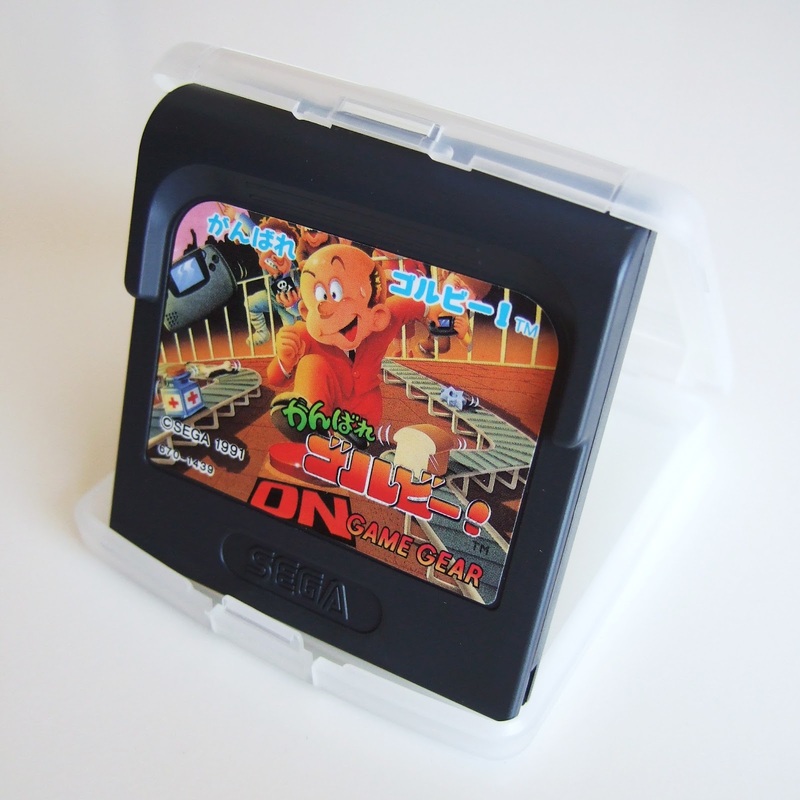 Not really, but it's fun enough -- and charming enough -- to be worth the price of admission if you're into the Game Gear. Aw, thanks, Kimimi! That's always been the main reason for these 'acquisition' posts, really. They're not about me bragging about my latest purchases, they're about me having a place to share photos of my latest purchases without having to use headlines like, "Um, here are photos of my copy of Ganbare Gorby!" Sounds good enough for me! Thank you for bringing this to my (and everyone else's) attention! And like I said earlier, I'll post a 'Manual Stimulation' devoted to this game soon. Maybe next week?